This brooch's only marking is the incuse .925 purity mark. 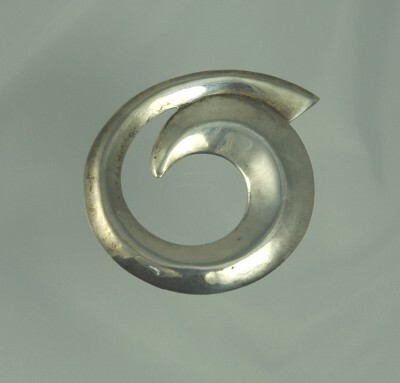 It is a beautiful stylized circle pin with delicate curvature and excellent patina. Condition: Excellent. Measurements: 2 1/4" in diameter.